INDUSTRY.co.id - Jakarta - Realized subsidized fuel oil in 2018 to May was recorded at 5.85 million Kilo Liter (KL) or 10% lower than the allocation in APBN 2018. The ESDM Ministry noted that the allocation of Solar in APBN 2018 amounted to 15.6 million KL a year or an average of about 6.5 million KL for 5 months. While the realization of subsidized diesel in 2017 amounted to 14.51 million KL or an average of 1.2 million KL per month or 6.05 million KL for 5 months. This means that the realization of the first 5 months of 2018 amounted to 5.85 million KL, also still lower than the average 5 months last year which amounted to 6.05 million KL. Indeed, consumption until May 2018 is not including the period of Idul Fitiri which generally has an increasing trend. But it is expected that the realization of Solar 2018 is normal and still not exceed the allocation. As is known realization of diesel in 2017 and then 14.51 million KL or lower than its allocation of 15.5 million KL. 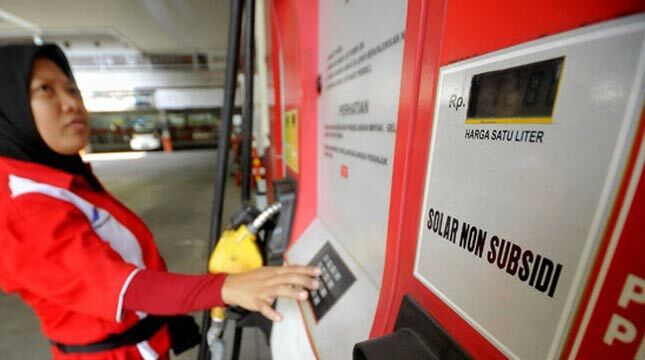 The government continues to ensure the supply of subsidized fuel including Solar remains available throughout the country, including during the Idul Fitri period. Fuel stock conditions during Idul Fitri period under Normal conditions with stock resilience per June 12, 2018 for several types of fuel, among others: Solar 20 days, Premium 21 days, Pertalite 23 days, and Pertamax 30 days.